Commercial law is the body of law covering issues that arise in the business world and areas of commerce. It includes the rights, relationships, and conduct of persons and businesses engaged in commerce, merchandising, trade, and sales. Various regulatory schemes control how commerce is conducted, particularly vis-a-vis employees and customers. Privacy laws, safety laws (e.g., OSHA), and food and drug laws are some examples, while other statutes and regulations primarily govern relationships between businesses (e.g. the Uniform Commercial Code). 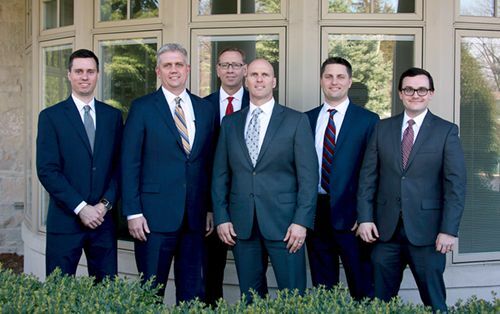 Whether you are a business in a dispute with another business, or a customer involved in a dispute with a business, the attorneys at Spesia & Taylor can assist you in attempting to resolve the issue without resorting to the courts. We work with clients to develop a strategy that meets their business needs, and seek to resolve any dispute in a manner that best meets those needs, whether through counseling, settlement negotiations, mediation, arbitration and other forms of alternative dispute resolution. However, if litigation is the only remaining viable alternative, our trial lawyers will aggressively fight to enforce or defend your rights in court or before the appropriate tribunal. The commercial litigators at Spesia & Taylor are well-quipped to handle a wide range of business disputes, from simple breach of contract matters to complex issues of injunction, shareholders’ rights, corporate or partnership dissolution, fraud, breach of fiduciary duty, commercial and residential landlord and tenant matters, condemnations, foreclosures, title disputes, broker disputes, Uniform Commercial Code cases and just about every type of business tort. As part of our business and commercial law litigation work, we can assist you in all aspects of your business drafting, from contracts, leases, supplier agreements, equipment agreements, real estate development, construction contracts, employer agreements and HR handbooks and policies. And in the event that those documents are challenged in court, we have a proven track record of success. Spesia & Taylor attorneys Jeffrey S. Taylor and Michael R. Stiff, successfully defended (not guilty in a bench trial) a claim on a personal guarantee valued in excess of $2,000,000.00 and alleged breach of fiduciary duty in a complex case which involved issues of estoppel, accord and satisfaction, parol evidence, statute of frauds, unclean hands, breach of contract, burden shifting, constructive trust, Marital Settlement Agreements and bankruptcy issues. Attorneys Jeffrey S. Taylor and Michael R. Stiff settled a federal declaratory judgment case involving complex insurance coverage issues. The resolution included a payment by an insurance company to settle a significant state court personal injury action.